Lokesh Kumari Sharma is a 25 year old girl who has been selected as a one of the contestant of Bigg Boss 10 which telecast its premiere episode on 16th October. Usually the show selects celebrities but then this year being the 10th season of the show, common public have been chosen as contestants. 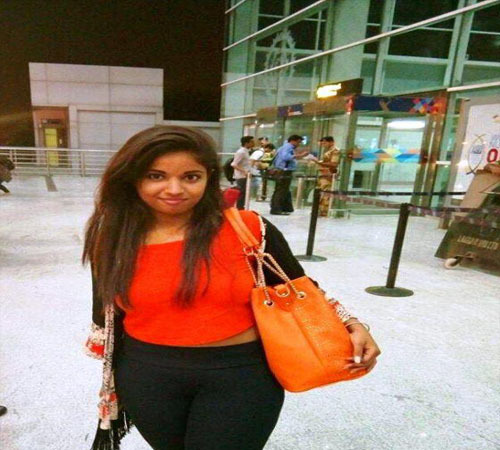 Lokesh Kumari is one of the common people in the Bigg Boss house who come from the capital state of Delhi. The show this time has brought to its house, a combination of celebrity contestants and contestants who are common public. Take a look who is Lokesh Kumari Sharma..
Lokesh is a girl-next-door kind of a girl who was born on 24th March 1991 and is very passionate about her wants and hobbies. Her hobbies are to dance, sing, and travel and to eat varieties of food. As said by her, she is lives in a joint family of 10, and she is very attached to her family. She stated that she live in a house of four bedrooms. In an interview she stated that she hate people who lie and does not like it when someone touches her things without taking her permission. In the same interview she also stated that she is currently single and is just focusing on her career for the time being. But then there is a debate regarding this statement of hers. Lokseh has completed her M.A. in Economics from the Delhi University and is currently look for a job. Lokesh believes in living in the present and is confident in whatever she says or does. She is an active figure on social media and has an account on Instagram, Facebook and Twitter. With her confident appearance and talks she surely has made her space clear in the Bigg Boss house which seems to be quite different this season. She looks simple but then she is strong in her words and actions. The girl has surely started a stir in the Bigg Boss house as soon as she entered the house which has both celebrities and commoners. She does not seem to be uncomfortable in adjusting with the inmate and her attitude and talks have surely impressed many in the audience. She would be competing with celebrity contestants like Gaurav Chopra, Karan Mehra, Bani and commoners like PriyankaJagga, Manoj Punjabi, and Akanksha Sharma to name a few. In total there are 8 common people and 7 celebrities in the Bigg Boss house this season. Why is Lokesh in the Bigg Boss show? Being out spoken and confident, LokeshKumari Sharma, surely is perfect contestant of Bigg Boss season 10. She is someone who could stir up come fights and controversies and entertain the public with her talks and attitude. As of now it seems that she could be one of the strongest contenders in the show and could give tough competition to the other commoners and also celebrities. Some fans pages of Lokesh Kumari Sharma have already been created by her friends and fans. She has become the favorite of many Bigg Boss fans in no time. There has been much activity in the social media pages of Lokesh Kumari Sharmas as well. Many people have tweeted relating to her and her mannerism. She is now the talk for the show. There is much expectation that is being built around her by her growing fans. Though there are popular celebrities in the house, Lokesh is surely grabbing some extra eyes with her presence in the house.